Nowadays TV series can adjust to all types of styles and personalities, but no matter what our tastes dictate, we all have guilty pleasures that we enjoy seeing at the end of a workday. Disregarding the complexity of our top 5 favorite sitcoms, the viewer may just want to enjoy 20 minutes of pure entertainment, where the drama starts and ends in the same episode. 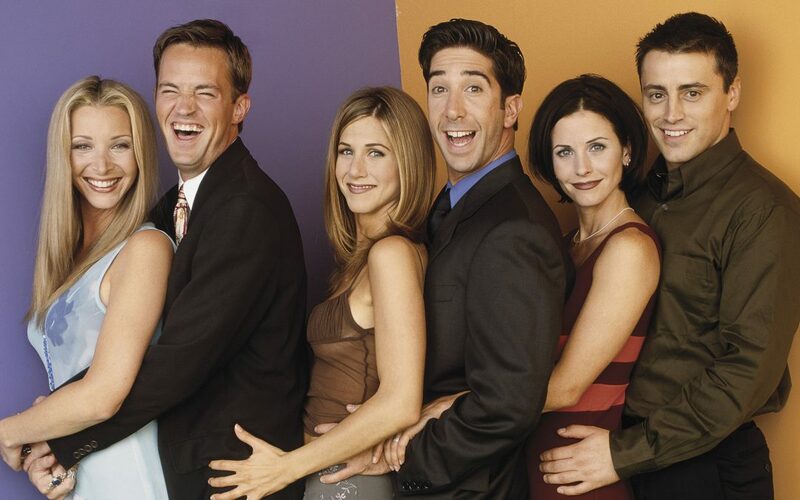 Started in 1994, this famous TV series became timeless, describing the life of six friends who are either roommates or neighbors living in Manhattan. Considering the uncomplicated argument, it is difficult to explain to someone who never saw this why he should jump straight to ten seasons of twenty-four episodes. How I Met Your Mother is based on the friendship of Bays and Thomas (the creators): the character Ted took inspiration on Bays, and the coupe Marshall and Lily were based loosely on Thomas and his wife. This TV show describes the routine of five friends living in New York. Although the main argument of HYMYM suggests a considerable resemblance to the series “Friends”, this more recent TV series shows a distinct point of view from New York, along with other relationship problems. For instance, the love life of Ted Mosby and the fact that it was never a fairy tale love story with him being a prince riding a horse was the main key to the undeniable success of this show. Created by Christopher Lloyd and Steven Levitan, this show describes a family whose father married a Colombian, one of the sons is gay and lives with his lover, the other heterosexual daughter married to a geek and has three completely different children. In all the episodes something peculiar happens in these families and at the end of the episode things end up being solved because, despite the differences, the family remains united. What is so amusing in this show is the fact that besides the stereotypes the society puts in gays, nerds, married women and even old rich men, we all know that they are obviously normal citizens with relatable problems. Recommended for the younger age group, the 70’s show portrays the life of a group of friends who lives in Wisconsin during the 1970s. The story takes place between 1976 and 1979 and relates to the day-to-day lives of a group of teenagers (Eric, Donna, Kelso, Jackie, Steven and Fez) in their 17s. Without having much to do, their routine comes down to a typical meeting in Eric’s basement house to talk, party, plan an activity and date. The series portraits events from that decade, such as feminism, sexual attitudes, generational conflicts, economic difficulties, recession and drug use. It also highlighted the evolution of the entertainment industry, including television, video game, Mad magazine and Eric’s obsession with Star Wars. The Big Bang Theory is an American sitcom created by Chuck Lorre and Bill Prade. The show premiered on CBS on September 2007 and is now in its last season, the 12th. The show centers mostly on the life of Sheldon Cooper, physicist at Caltech, alongside his friend Leonard, both whom share an apartment. A prequel spawned later in 2017, named Young Sheldon, which follows Sheldon during his childhood. The series focus mostly on four particular topics: science, since the four main male characters are employed at Caltech and have science related jobs; Science Fiction, since they are all avid fantasy and comic book fans and collectors; Leonard and Penny’s relationship and later the clear differences to Sheldon and Amy’s relationship. The highlighted comedic effect is a natural outcome ever since it is filmed in front of a live audience.